Everybody has one person on their gift list who makes your holiday shopping a challenge. Someone that needs the most unique of gifts. Or maybe this year you’re looking for an extra-romantic way to pop the question during holiday engagement season. Or you might simply be looking to do something different with out of town guests, and experience the beauty of Tampa Bay in a whole new way. 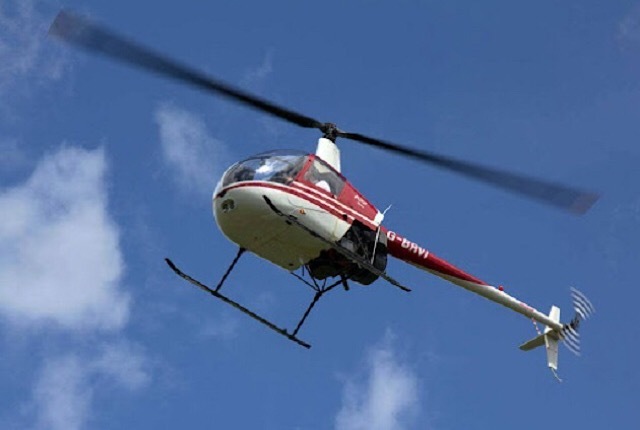 Vertical Flight’s helicopter tours are your answer! They offer a great holiday gift card that guarantees a unique experience for anyone on your list, or as a special celebration or surprise. Vertical Flight offers five memorable helicopter tour options. The first is a 12-minute flight over Clearwater Beach, starting at Honeymoon Island State Park in Dunedin. The tour continues down Caladesi Island State Park towards Clearwater Beach before turning home along the Memorial Causeway. The second flight plan lasts 20 minutes, and includes everything in the 12-minute tour and adds a bird’s eye view of the Anclote River as you fly towards Tarpon Springs and the famous Tarpon Springs Sponge Docks. For that extra special occasion, why not try a Vertical Flight Skyway Slam tour? This one lasts a full hour, beginning with everything you get to experience in the first two tours. After you pass Clearwater Beach, the helicopter continues along the entire length of the Pinellas beaches. You’ll see the Don Cesar Hotel and Fort De Soto Park, then soar around the center span of the Sunshine Skyway bridge before turning for home. Vertical Flight helicopter tour is the perfect milestone birthday gift! Vertical Flight also offers a Clearwater Beach Sunset helicopter deal. This 20-minute trip flies out slowly at the end of the day, giving everyone on board the opportunity to take in a gorgeous sunset over the Gulf of Mexico. It makes a great ending to a special day or the great beginning to a special night. Finally, you can set your own itinerary. The Design Your Own option lets you plan your sights and your flight time with Vertical Flight. The only limits are your budget and your imagination! Vertical Flight pilots R-44 RAVEN helicopters with seating for four people, or R-22 choppers that seat two. The operation is overseen by Frank Marsalek, who has 43 years of aviation experience as a professional pilot, flight instructor, and FAA examiner. In addition to sightseeing tours, Vertical Flight offers its services to professional photographers, aerial surveyors, and flight students. If you’re struggling to find the perfect holiday gift for those hard-to-shop-for people on your list, try a Vertical Flight helicopter tour for a unique and memorable gift. It’s a thrilling and unique experience they will never forget! Looking for more holiday gift ideas? Check out shopping in Tampa Bay on 727area. Register with us for things to do in Pinellas and more! Your subscription is always free.